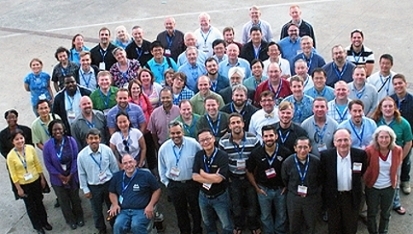 XSEDE connects researchers and students to supercomputing and digital resources for free. This exclusive video from the XSEDE16 conference highlights what Campus Champions had to say about their program. XSEDE is a human network bringing computationally-enabled science to life. Campus Champions spread the gospel of XSEDE HPC. XSEDE16 video highlights the impact Campus Champions can have. When you think of the eXtreme Science and Engineering Discovery Environment (XSEDE) you probably think of high-performance computing (HPC). You’d not be wrong to think that, as XSEDE helps manage the US national cyberinfrastructure and supports supercomputers and high-end visualization and data analysis resources across the country. Spreading the word. The XSEDE Campus Champions are an independent network of academics and students representing over 250 institutions across the country. Courtesy XSEDE. But XSEDE is much more than really fast, really big computers. “I think of it as a socio-technical ecosystem,” says John Towns, director for science and technology at the National Center for Supercomputing Applications (NCSA) at the University of Illinois. 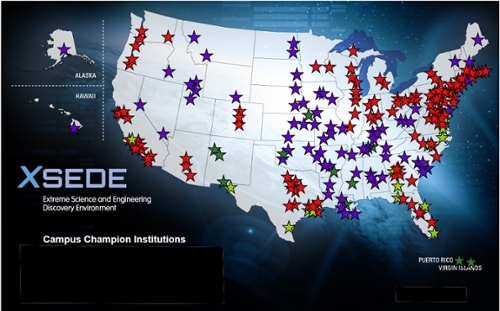 Important links in this human network are the XSEDE Campus Champions, a collection of 275 members at over 250 universities and colleges across the country. These champions help researchers learn about the broad array of XSEDE services. Take Michael Souffrant, for instance. 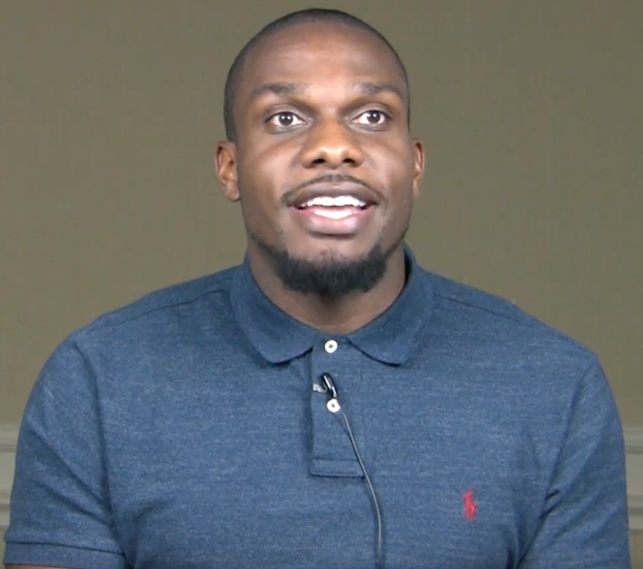 Souffrant, a graduate student from Georgia State University (GSU) and immigrant from Haiti, is a perfect example of how a career trajectory was supercharged by an encounter with the Campus Champions. Souffrant is researching state variation in macromolecules like enzymes and needs supercomputing access to view simulated models of these enzymes and other similar structures. Souffrant would likely have avoided HPC were it not for the persistence of the XSEDE Campus Champions at GSU. Now there is one more scientist with the ability to use HPC to complete their academic work and expand human knowledge. The future of science is in the hands of those equipped to navigate the cyberinfrastructure of the modern scientific workspace. Thanks to XSEDE's Campus Champions, a new generation of academics are ready for supercomputers. It’s easy to think of XSEDE as a collection of supercomputers. But XSEDE is not merely the big metal compute machines under lock and key at the edge of your campus. No, the most important element of XSEDE is its human network — showing the way to the discoveries of tomorrow.